Top: Melissa Murphy Weber discusses fraud prevention. 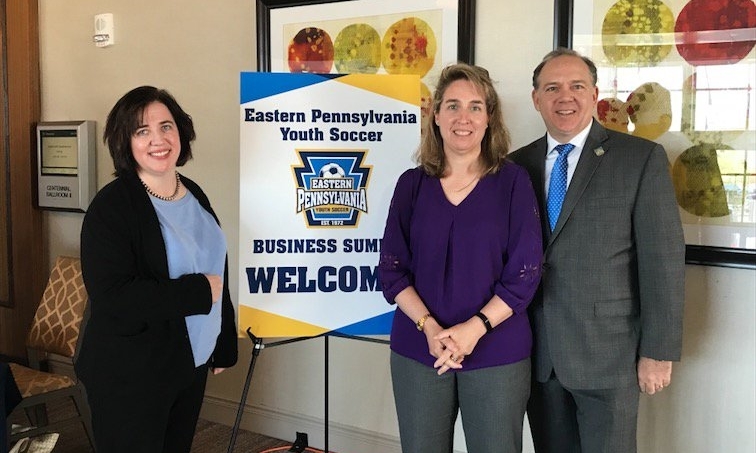 Lower left: Megan McKeown (Assistant Coach, Main Line Accounting) and Erin Friday (President, Main Line Accounting) pose with Eastern Pennsylvania Youth Soccer CEO Chris Branscome. Lower right: More than 35 organizations and 50 representatives attended the first annual Business Summit. Eastern Pennsylvania Youth Soccer hosted the 2018 Business Summit at the Sheraton Valley Forge on Wednesday, May 2. The event was intended to educate the membership on best business practices for their soccer organizations. 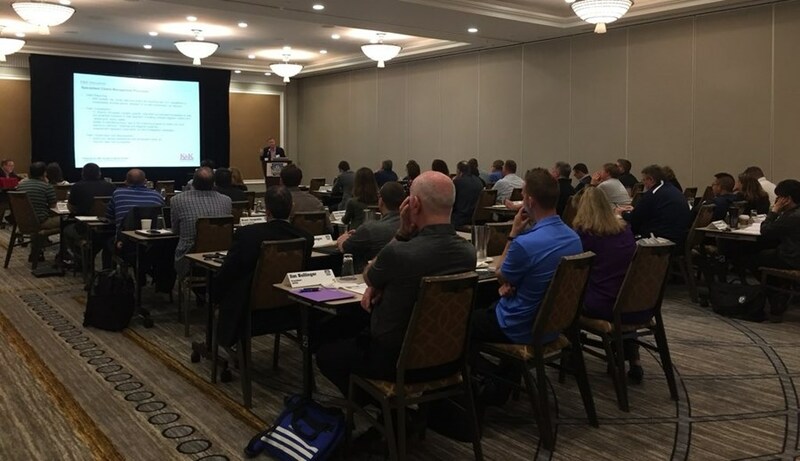 The Business Summit featured experienced professionals in a variety of fields that are pertinent to youth soccer organizations, including insurance, accounting for non-profits, fraud prevention, contractor vs. employee questions and fiduciary responsibility and role of board of directors. "It's up to us to ensure our community is provided with the best in service, support and advocacy," said Eastern Pennsylvania Youth Soccer CEO Chris Branscome in introducing the Business Summit. "It's crucial to membership growth and retention that we provide a secure, transparent and comfortable environment for our families." Representatives from leagues and clubs from all over the state association were in attendance with more than 35 different organizations and 50 attendees in total.